Here’s what’s happening in the world of television for Wednesday, April 25. All times are Eastern. 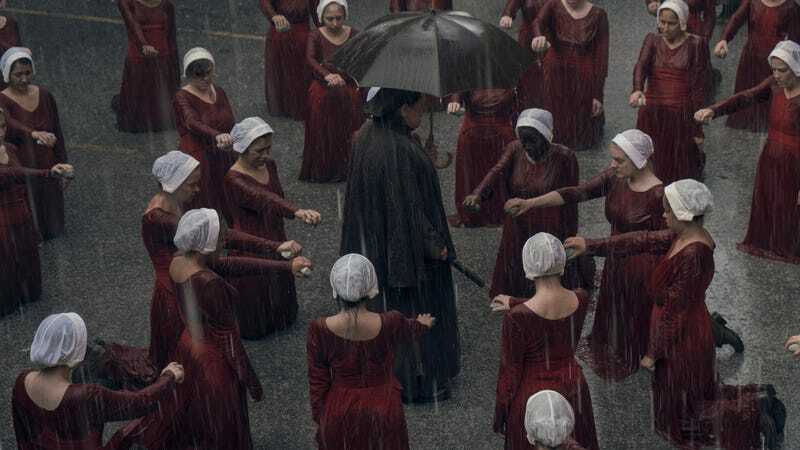 The Handmaid’s Tale (Hulu): Despite the fact that “everything from the photography to the tone is darker” in the second season of Hulu’s adaptation of Margaret Atwood’s searing novel about a fascistic, misogynist future America, our pre-air review insists the series remains a must-watch. It picks up right where season one ended, with Offred in real trouble thanks to her involvement with the underground resistance Mayday. No word on just how bleak things are going to get, but our Allison Shoemaker will be there to report on every single development in Gilead. Psychokinesis (Netflix): Oh look, it’s a new movie from Yeon Sang-ho, the South Korean writer-director of 2016's extremely good zombie-outbreak flick Train To Busan. (It even made The A.V. Club’s list of the best movies from 2016 we didn’t review upon initial release.) This one’s apparently a satirical black comedy about a father trying to save his daughter with the help of some unexpected superpowers. Say no more—we’re in.